Today we have this Porsche 944 S and this Classic Hot Rod. A Porsche 356 Outlaw can be just an awesome car. Taking a wonderful classic and making it into something that is one of a kind can make for quite a car. Doing it properly and tastefully is the key. The Emory family knows how to do an Outlaw right. After all they were the family who’s builds the name was coined after. 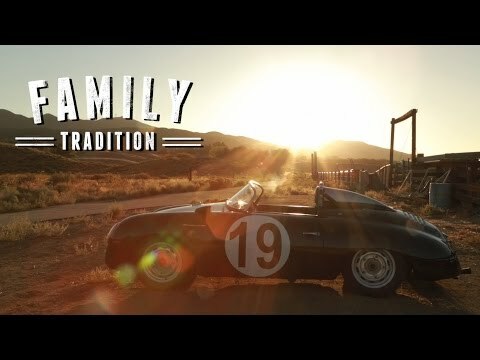 In 1948 Neil Emory started the family legacy with his hotrod builds. Later on as his sons and eventually his grandson joined the family business they created the original Baja Bug. They later turned their sights to the Porsche 356 which is how they became the Outlaw designers. The family shop still builds 356 Outlaws using tools that would have been available to Porsche when the 356 was still being sold. Their cars aren’t just exquisite show pieces, but they are meant to be driven. That is what Rod, Neil’s grandson, loves to hear from customers. This video gives some of the history behind the shop that gave us the 356 Outlaw. It also has some great images of these wonderful modified Porsches being enjoyed on the road.